This dress was not only “made with love” but also in gratitude. Marita is, and has been, the proverbial sister- a sounding board, a sharer of secrets, a quiet and consistent supporter. Her unwavering sisterly affections have in and through time proved priceless. For lack of a better word…a soul friend. Marita and Ryno’s love story was written in the stars. 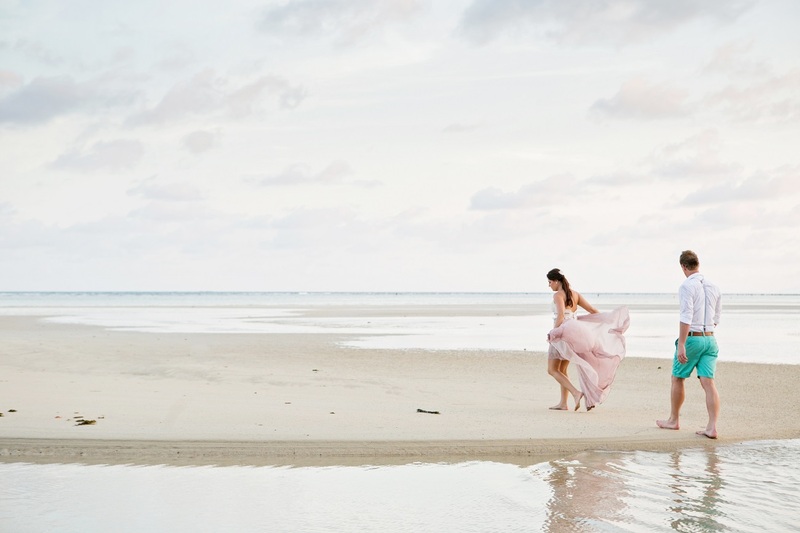 They were to be wed on the beach in Thailand – with torment temperatures of 30+ degrees and thus wanted her wedding gown to be cool and breezy. The bodice was a beautiful blend of braided shoe-string straps and a corded lace bodice. 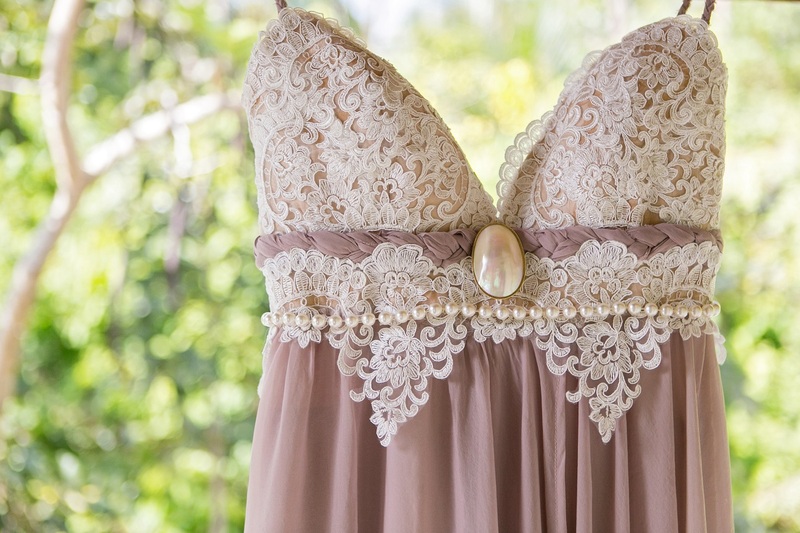 The pearl on the bodice was actually my mothers, which added to the special sentiments of the day♥ The skirt consisted of three shades of chiffon – allowing her to show off those beautifully shaped legs of hers. Was she not the most gorgeous bride!